The British TV Christmas Special is a strange beast. There isn’t really an equivalent concept in American TV – for all that they have a number of Christmas episodes, they’re usually part of the regular run, an episode set at Christmas rather than something specifically Christmassy. 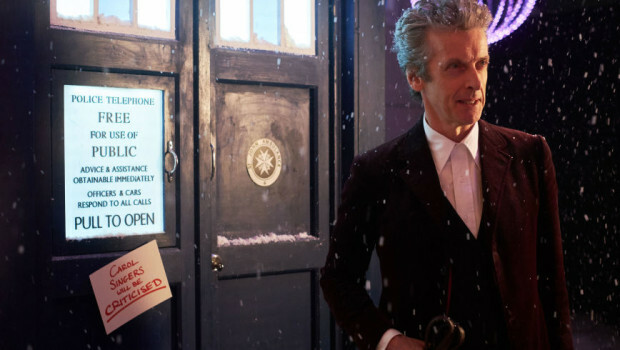 In the Christmas Special, the entire show tends to down tools and plonk the characters in an adventure related to the Christmas spirit. These tend to be a bit broader than the standard episode, as most will be full and/or drunk by the time they settle down to watch them. Into this arena comes the latest Doctor Who Christmas Special, The Husbands of River Song. As the title suggests, The Husbands of River Song sees Alex Kingston return as Professor River Song, time-traveller, proto-Time Lord, bride of The Doctor, archaeologist and all-around badass. Since her first appearance in 2008’s Silence in the Library/Forest of the Dead two-parter, she and The Doctor have been meeting in a jumbled-up order, a puzzle which Matt Smith’s Eleventh Doctor spent most of his incarnation, particularly in Series 6, trying to put together. This is the first time they’ve met since The Doctor gained his new regeneration cycle in The Day of the Doctor, so when the episode starts, River doesn’t know that The Doctor is The Doctor. Hijinks ensue. The first 40 minutes of The Husbands of River Song are about as broad and silly as Doctor Who gets. 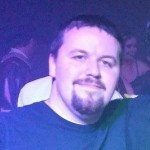 The Doctor is recruited by River, via an intermediary played by Matt Lucas, to help her steal the head of a cyborg warlord (Greg Davies) which has a particularly rare diamond embedded in it. 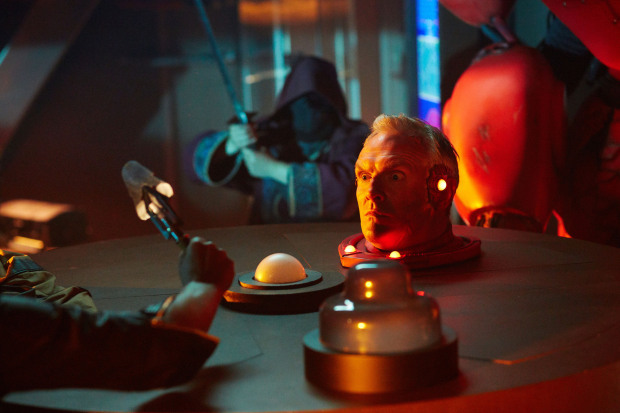 It turns out his head is detachable, however, with its own life-support, allowing Davies’ head to keep shouting at The Doctor and River whilst they’re running away from his robot body with his head in a bag. Turns out the body has a mind of its own, however, and is determined to retrieve the head. In a standard episode of the regular series, this would be far too silly to work. Even as is, it requires a couple of very winning performances from Peter Capaldi and Alex Kingston to hold it together. But, as a daft bit of fluff for the Christmas Special, this aspect of The Husbands of River Song is very entertaining. Capaldi and Kingston have great chemistry together – indeed, Alex Kingston’s great with all three of the Doctors she’s appeared with – and the slapstick with the head in the bag hits just the right spot. They eventually end up on a spaceship which is a restaurant for genocidal maniacs, one of a number of Douglas Adams-ish things that turned up throughout. It’s in this portion that the episode turns on its head and becomes a bit more emotional. Throughout The Husbands of River Song, River hasn’t realised that The Doctor is who he is, and this has allowed him to see what she’s like when he’s not around, and he doesn’t particularly like what he sees. When he sees her diary, however, she shows him that it’s very nearly full, and having received it from The Doctor, “he’s the type of man who knows exactly how long a diary you’re going to need.” There’s an undercurrent of melancholy and bitterness which makes the moment when the penny drops feel like a great relief. Between Capaldi’s standard prickliness and Kingston’s scorned anger, they make you work for that moment of warmth, but when she realises who’s standing next to her and he says “Hello sweetie”, it feels like a real victory. 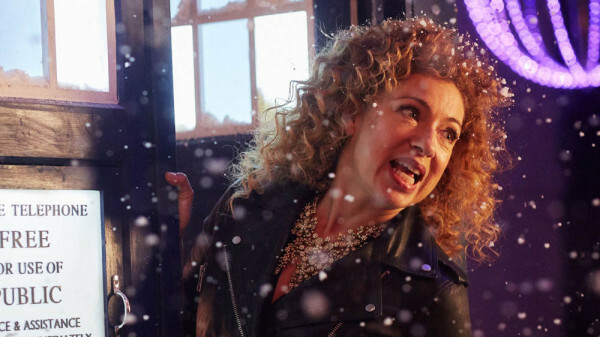 From there, there’s a little house-keeping relative to River’s first appearance, which suggests that The Husbands of River Song might well be her last. Their last night together before his first meeting with her and her last meeting with him was spent at the Singing Towers of Darillium, where he gave her the sonic screwdriver he had previously saved her with in the Library, and this is where we end up. 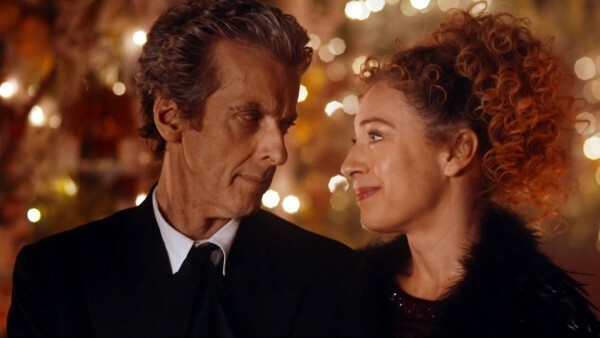 As it transpires, a night on Darillium lasts for 24 years, so River and The Doctor get as close to a happily ever after as they’re ever likely to manage. The Husbands of River Song was at one point going to be Steven Moffat’s final episode in charge of Doctor Who, so in that regard closing out the story of River Song on his way out made sense. It’s not his finest work, by any stretch, but coming so close on the heels of Heaven Sent, it would have been like going out on a high note. I should expect that Series 10 will probably be his last, with Chris Chibnall seemingly having been anointed as his successor. If that proves to be the case then we’ll properly eulogise the Moffat era next year when it’s done, but for now, suffice to say it’s been a hell of a ride. I don’t know when the next episode will be, though we’re probably looking at another September start. Until then, compliments of the season, and a very Happy New Year.